CVS - 40% off Milani. Rite Aid - BOGO50% on Jesse's Girl, Julie G, Bonita, etc. 300 Plenti Points for $8 Wet n Wild purchase. Vintage!! So happy to see that come back! I swatched it a year-ish ago, but I might take the opportunity to reswatch. Such a gorgeous shade. 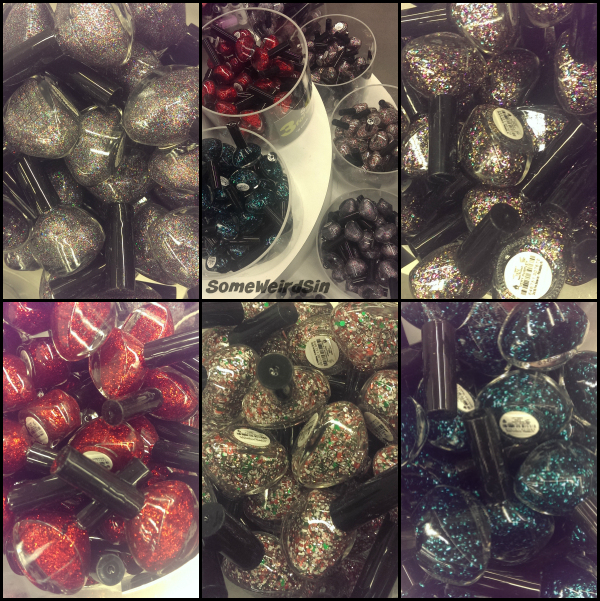 It's A Wrap is the only new shade in this bunch, but Supernova and Purple Heart are also back and worth checking out. 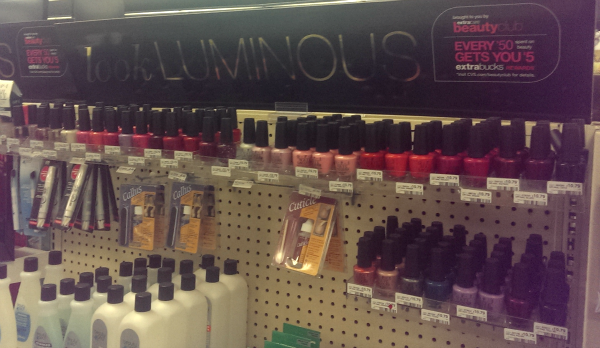 If you're lacking creams, you'll wanna get to Dollar General. 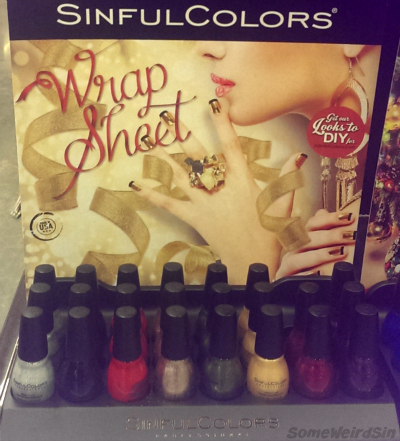 I've never tried anything by Broadway Nails, but somehow I wound up with three of these shades. The neon yellow and green matte glitter in Full Of Stars drew me in first. I also bought Sparkling Stone, which might be a poor girl's version of Butter London AHTQ, and Ultra Violet, a purple that's crampacked with pinky gold flecks. Look for swatches on here eventually. Cinnamon Sweet! 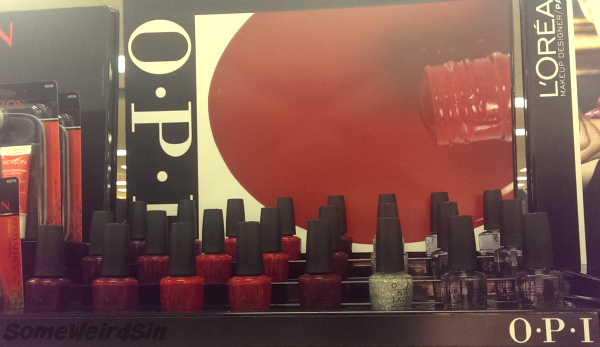 There was a real stir over this retro red over on the MUA Nail Board last winter. It's what Agent Carter wears, confirmed by the actress. The shelf price is an insane $10.79, which is the highest I've ever seen in the US, but there are always ExtraBucks and coupons. The color range is sorta ho-hum and muggley, but bigger than what they had before. 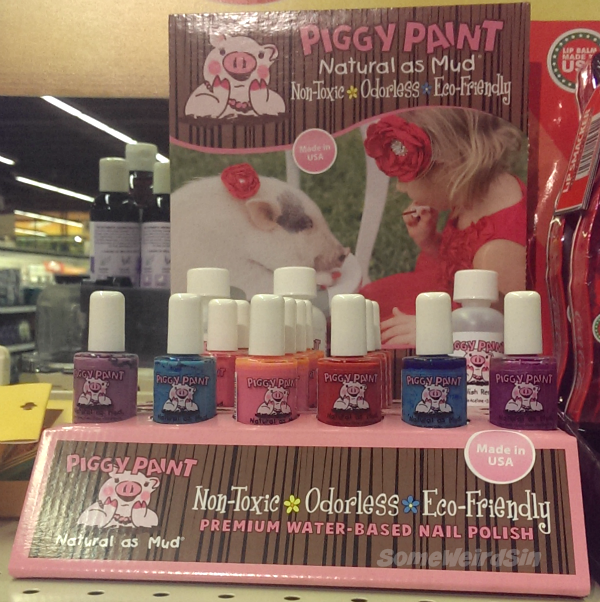 If you're in the Northeast and have or know a little kid who isn't quite ready for real polish, Wegmans has a Piggy Paint display up. This display also has the remover, which I haven't seen in person before. They clearly have some separation and settling issues, but it's good to see them around. Remember Spin Art? 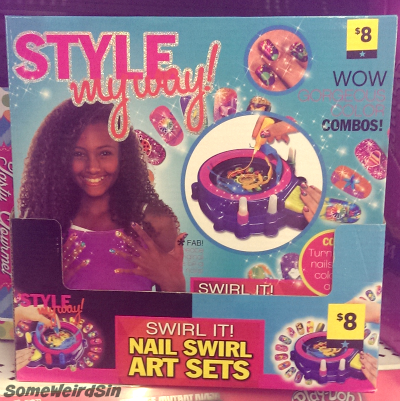 This looks like it's trying to be that for nails. It's probably a complete disaster in action, but it's still a cool idea. So that's the shopper for this week. 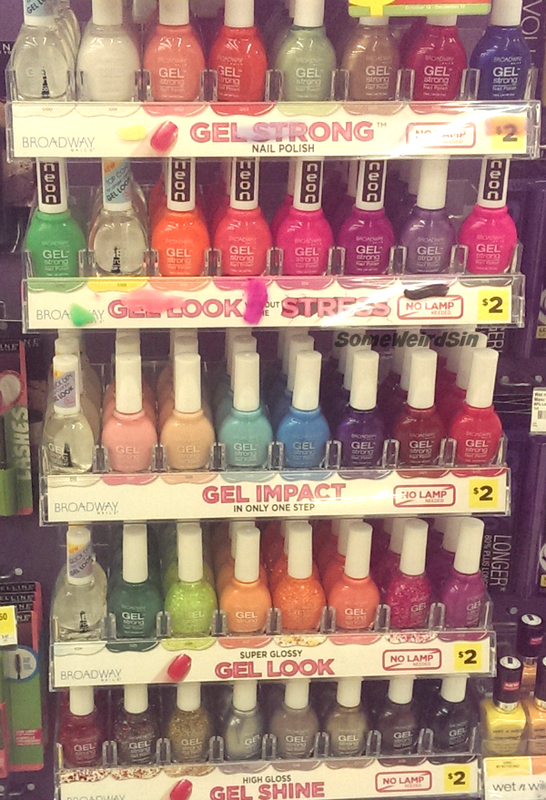 No Walgreens Sinful Colors sale like I was hoping. 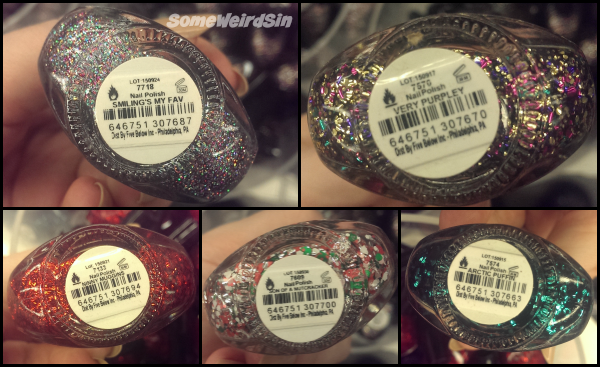 Guess I'll be paying full price for the rest of the new holiday shades. Oh well. I should have at least a couple of actual posts up this week, unlike last week, if this cold I'm coming down with doesn't trample me. See you then!